Hank Trotter was one of those bullies that you’d take the long way home to avoid. Unfortunately for me, I rode the bus with Hank so I lived in daily fear of our ride to school & back. Although everyone knew to keep their head down & mouth shut on the bus – one Monday afternoon I’d had enough of being pushed around so instead of hiding from Hank I stood up to him. It was straight out of an after school special – I challenged him to a fight by the neighborhood bridge at 4 o clock (here’s a picture of the spot we went at it) I remember feeling scared, I wasn’t a fighter, I was just sick and tired of his bullying and knew I had to make it stop. How often do you feel that way? I know we’re not kids anymore but let’s face it, getting pushed around doesn’t stop when you leave school. Whether it’s your boss or your bank, it seems there’s always someone trying to make you work longer or pay more than you should. Eventually you get fed up with it and you have to decide if you want to stand up for yourself and your money or just sit there and take it and be miserable. 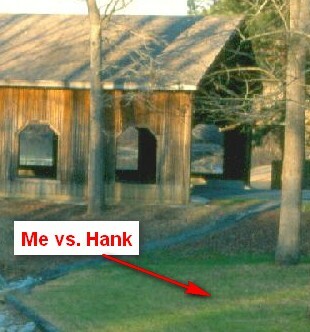 Back to my battle with Hank, I never really stood a chance, he was taller & stronger. I remember walking home bruised and sore after the fight, wondering if it had been worth it. I knew going into it that Hank had the upper hand, as is usually the case with bullies. They rely on a perception of dominance, whether it’s deserved or not. This fear gives them power over you, the power to make you do what’s in their best interest. When you’re a kid, it’s just fear of getting whaled on, maybe a bloody nose and a black eye. That’s enough to keep most kids “in their place” and let the bully do whatever they want. But that fear can take many forms, and does, as you get older and the bullies become more sophisticated. One simple example that we’re all well aware of is the boss who makes you work long hours for years on end without a pay raise or promotion. His job is to keep the department budget low, so he tries to do more with less people. Even though it’s not right, he knows the fear of losing their jobs will keep most people doing exactly as he demands. Looking back, I actually had it easy with Hank. There was no question of whether I needed to stand up for myself, the only question was if I had the guts to do it. Standing up to your boss is a lot more complicated, it takes a lot more thought and planning than a emotional challenge to meet after school for a fight. But it doesn’t stop there, bullies can be more subtle than an intimidating boss threatening to fire you. When it comes to your money, bullies often leverage their expertise to make you hit the panic button and do irrational things. Just think about your broker or insurance agent. They know more about investments or insurance than you do and you look to them for guidance. They know your biggest fears when it comes to protecting your money, your belongings, or your family and know what buttons to push to make you worry your way into adopting their agenda. How do you fight back against someone who’s supposed to be helping you? How do you know if they’re really looking out for your best interest, or looking instead to pad their pockets? Even worse, how do you stand up against a member of your family who’s a money bully? How many people struggle to pay their bills or are even suffering under massive debt because of their spouses ill-advised decisions? What If the Cards Are Stacked Against You? And how do you fight back against a system that you have to follow? For example, the IRS has the law on their side, they’ll come and get your money and charge you with fees and interest if you’re late. Or take the credit scoring system for example. You may not want to use credit at all but unless you follow the system and establish a positive credit history you won’t be able to get a loan to save your life! Now days, it’s not just getting approved for a loan. 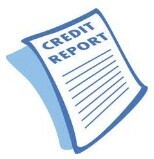 Now your credit score can impact your insurance rates and even whether you get hired for a job. You have to follow their rules, you have to work in their system. The bigger money bullies get, the more frustrating they are to deal with. I’m sure you’ve worked with at least one of the mega phone or cable companies who overcharged you for their service then put you on hold for 20 minutes when you call in to straighten it out. Companies like these have a history of trying to sell you more than you need, overcharging you for service, under delivering on what they promised, and then making it nearly impossible for you get it fixed. Simply ridiculous! The only reason we jump through their hoops and run the gauntlet is that they have our money. They know from experience that enough people will just take the abuse that they can keep on pushing us around and stay in business. I don’t know about you but I can get pretty worked up when dealing with some of these bullies. I don’t blame you if you’re angry after dealing with them, it can get overwhelming and sometimes you just feel like you’ve had enough. That’s how I felt with Hank and why I finally stood up to him. Like I said, compared to the army of bullies we just went through above, I had it pretty easy when dealing with Hank. It may sound strange but I’m actually glad that he terrorized me all those years ago. The thing is, I learned a very valuable lesson that afternoon when I met Hank by the bridge. I’m glad I learned it a young age, it’s probably one of the most important keys to financial success I’ve had in my entire life. It’s kept me out of debt, my family fed, and helped me get ahead in life. It’s a lesson that not everyone learns. I’m sure if people understood what a difference it could make they’d be clamoring to know why it works. Thanks to Hank, I’ve had this ace up my sleeve since I was a kid. Can you guess what it is? I think it’s time I shared it with you. The lesson I learned all those years ago was …. 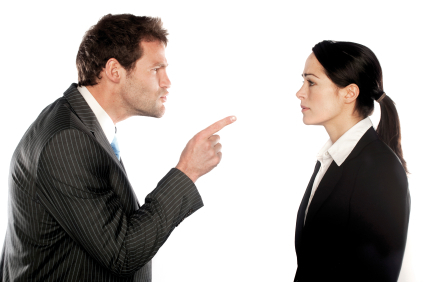 10 Responses to Stop Getting Pushed Around! I couldn’t agree more. The worst experiences I’ve had have been related to work, just like Andrew described. In the name of promotions and “getting ahead” my bosses pushed me to work unbearable hours, for no extra money. It’s a shame that people let themselves get bullied, and the bigger shame is that they may not realize they are getting bullied at all. I thought I was playing along with the corporate game, but now that I look back at it I was just getting pushed around by the people who held the key to the vault that my salary was locked away in. I just put my head down and kept working in my cubicle, when I should have been standing up to these bullies who were making me work ridiculous hours, for their own benefit. Nothing’s worth it if it makes you feel like crap, and I felt like crap. I know the lesson I learned – I learned it well – but I’ll be interested to see what your take is! Steve, sorry to hear it. I think one challenge many people face about their job is that they’re operating under the assumption that if they work long and hard enough, their effort will be rewarded. That’s not always the case, you could work yourself almost to death (literally) but there’s no guarantee that it will get you your promotion, pay raise, or whatever you’ve been waiting for. Yes! Just like Sarah said, I know exactly what you mean. My worst bully was our old bank, they really walked all over me when we bought our first house. I didn’t know anything about mortgages, locking interest rates, closing costs, or all the fees that might come up. Foolishly I trusted them since I’d had my checking/savings account there for 10 years. I figured that they’d take care of me, do what was best for me. Boy was I wrong. I didn’t understand much about the process but they never took the time to explain anything. Even worse than not helping, they took advantage of me. When we went to closing there were a bunch of extra fees that they’d never mentioned before. When I brought them up they refused to explain the fees but insisted that I must pay them. I should have just walked away but they said they could roll them into the loan so I wouldn’t have any extra out of pocket. Then I found out the interest rate I thought I was getting had gone up. I got really mad and they brought in a manager and he totally confused me with some crazy explanation of why the rate was higher. I knew it wasn’t right but they showed me how the higher rate wouldn’t change my monthly payment that much and that if I walked away they would keep all the money I’d given them so far. I was really confused and upset but I went ahead and signed the documents anyway. Looking back I wish I would have just walked out of there and not let them bully me into closing the loan with those crappy terms. Wow Beth, I’m glad to see that was your “old bank”, I’m sure by now you’ve found another one that doesn’t bully their customers. The best way to avoid what you went through is to work with multiple banks or credit unions so that you can compare their rates and costs and go with the best one. I actually have a story I haven’t shared all of yet about how I got our bank to agree to cut their closing costs by over $700. I mentioned it in one of my previous emails and I’m working on a write-up for how to get the same results. Two words – payday loans. These guys majorly ripped me off back when I was going to school. I was trying to juggle rent and my other expenses and tuition when I got into a car wreck and needed money quickly. I went to a payday loan store in a strip mall near my apartment complex and got just enough to get by for the month. Talk about getting pushed around, those guys charged an insane amount of interest so the longer it took me to pay it back, the more I owed. I tried to negotiate with them to get it paid off but they were definitely money bullies, making threats about what would happen if I didn’t do exactly as they said. Luckily I had a family friend who was a lawyer who wrote some letters for me and helped me reach a settlement to get it paid off. I don’t know what I would have done without her help, probably still be making payments today, jerks! Hey Havier, sorry to hear it. The only advice I have on payday loans is to avoid them at all costs. So many people are in your situation, where they feel desperate and need money quickly. The payday loan companies definitely take advantage of that desperation. They’ll gladly loan you the money but like you said, they charge so much interest on it that you’re worse off after you take out the loan than you were before. I’ll work on a list of alternatives to payday loans. Yes! That’s exactly how I feel. Our insurance agent talked us into buying a policy that we didn’t really need and its making my blood boil. At first we said no but he started showing us studies and statistics and really made us start to worry. I didn’t really think we needed it but he kept explaining all the reasons why it would be dangerous not to buy it and honestly it freaked us out a little – kind of like the panic button you talked about. He knew right where ours was. I didn’t really understand how the policy worked but we were concerned based on what he said and bought it anyways. A year later I started talking with one of my good friends who’s in the insurance industry about it and she told me that we’d been sold something we didn’t really need. It makes me so mad that he knew we didn’t need it bought took advantage of us and sold it to us anyways to make some extra money! Sarah, I have a friend who used to work for one of the big insurance companies who ended up leaving his job because he didn’t feel comfortable with how they were asking him to sell to his customers. He ended up becoming an independent agent so he work with people to shop around every insurance company and find the right price/coverage for their situation. I’ll talk to him and see what info I can get on what to watch out for when buying insurance. My boss is totally taking advantage of me and everyone on my whole team. We work nights and weekends to meet his deadlines but not one of us has gotten a promotion out of it. It wouldn’t be so bad if it was just for a few weeks at a time but it’s not. It never seems to stop, as soon as we get one project wrapped up, the next one has to be done right away. He’s in senior management so he gets a bonus when we finish our projects but we get nothing. We don’t get paid overtime, usually we don’t even get a thank you. It’s just, on to the next project. Really, we should all just quit but in this economy we’re not sure where else to go.